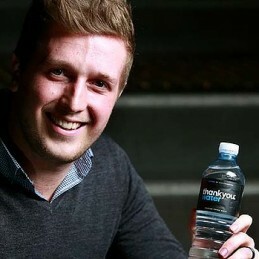 In 2008, a 19-year-old Daniel Flynn and his team founded social enterprise Thankyou Water, with the launch of a bottled water product that would exist for the sole purpose to fund safe water projects in developing nations. After nearly five years, the Thankyou Water has funded 100 projects in over eight different countries, to assist over 56,000 people with safe water solutions. Recently, Daniel has lead the company rebranding of Thankyou Water to Thankyou, and the launch of an additional 18 products across the range, introducing Thankyou Food and Thankyou Body Care. The launch of these new products will enable the organisation to fund food and hygiene projects overseas, as well as safe water solutions. Daniel has a strong belief that impossibility is only someone’s opinion, not a fact. He is passionate about inspiring others to dream big and do what many believe is impossible. Daniel has a strong passion for entrepreneurship and has also undertaken a degree in Project Management at RMIT University. In 2011, he was named as a state finalist for Young Australian of the Year Awards 2012 and was awarded the 2013 Victorian Young Achiever of the Year title. Daniel has recently been announced Victorian National Finalist for Young Australian of the Year 2014.